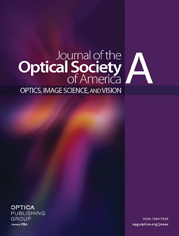 We present a calculation for the performance of a fiber-optic Lyot depolarizer in the first-order approximation. To ensure a straightforward calculation, we developed a new procedure with diagrams representing light propagation. The complicated expression for the degree of polarization of the depolarizer output is expressed by the propagation diagrams in a simple form by using a few formulas about the diagrams. The degree of polarization of linearly polarized incident light is calculated with an arbitrary incidence angle and with an arbitrary rotation angle between the first (shorter) fiber and the second (longer) fiber constructing the depolarizer. Especially for an incidence of nearly 45°, it is clarified by calculation that the residual polarization depends solely on the polarization coupling existing in the longer fiber and does not depend on that existing in the shorter fiber. Comparisons of calculated and measured results are also presented.